A family makes the long trek to Washington, D.C., to see the Vietnam Veterans Memorial Wall and touch the name of their loved one. As each family member goes to the wall, he or she is remembered through a powerful monologue, which may be presented as individual performances. The family members are the mother, who still bakes a cake every year on her dead son's birthday; the father, who tries desperately to conceal his grief; the younger brother, who tries to "hide his feelings behind an intellectual wall," as entertainment reporter John Bustin commented; the wife, who has remarried; and the daughter, who never knew her father and isn't sure how she should feel about him. The play doesn't sermonize, and it doesn't question whether or not Vietnam was a mistake. But the audience comes away from the play wondering why these 58,000 young Americans had to die, and why civilized human beings still make war. Perhaps it will remind you of Jerome McDonough's obvious but universally ignored observation that "The time to prevent war is when there is no war." 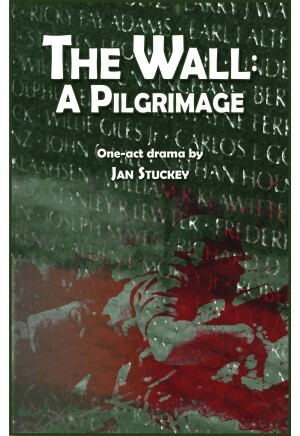 The Wall: A Pilgrimage is, in Bustin's words, "compelling and freshly engrossing fare handled with intelligence and honesty."